If you’ve been reading this blog, you already know that the University of Michigan Solar Car Team won the 2014 American Solar Challenge (ASC) - its eighth national championship and fifth in a row. The solar Wolverines beat Big Ten rival University of Minnesota by nearly four hours. Despite the wide margin of victory, the team faced its share of adversity. The video diary below covers each day of the race. Learn what really goes into racing a solar car 1,750 miles across the country as the team contends with a faulty motor, unpredictable weather, overheated and exhausted drivers — and a last-minute logistics problem that threatens their standing on the final day. Heading into the race, University of Michigan project leader Pavan Naik said the team’s primary goal was to gain real-world racing experience and translate this into building a better vehicle for the 2015 World Solar Challenge. Check out more pictures of the race on the team’s Flickr page. 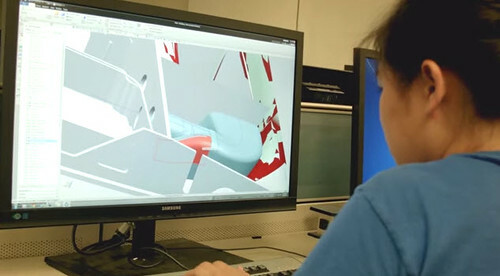 Stay tuned for more on how the team uses Siemens PLM Software to design, test and manufacture a world-class solar car. Thanks again to my colleagues Pete Tiernan and Ryan Ragle for this content.